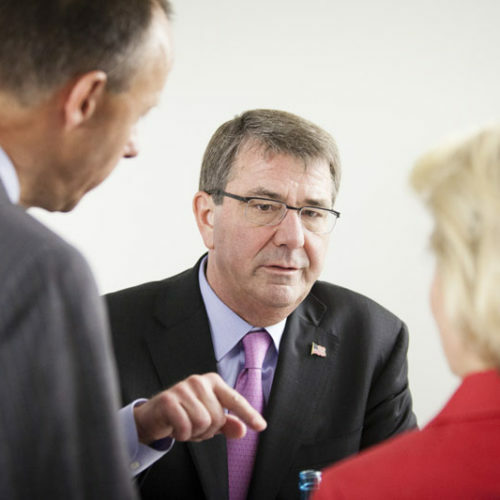 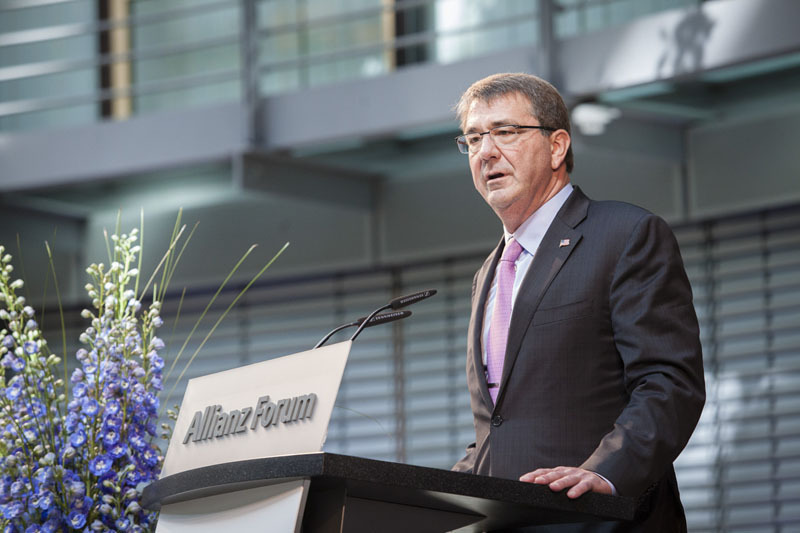 Carter: The Cold War play book is outdated - Atlantik-Brücke e.V. 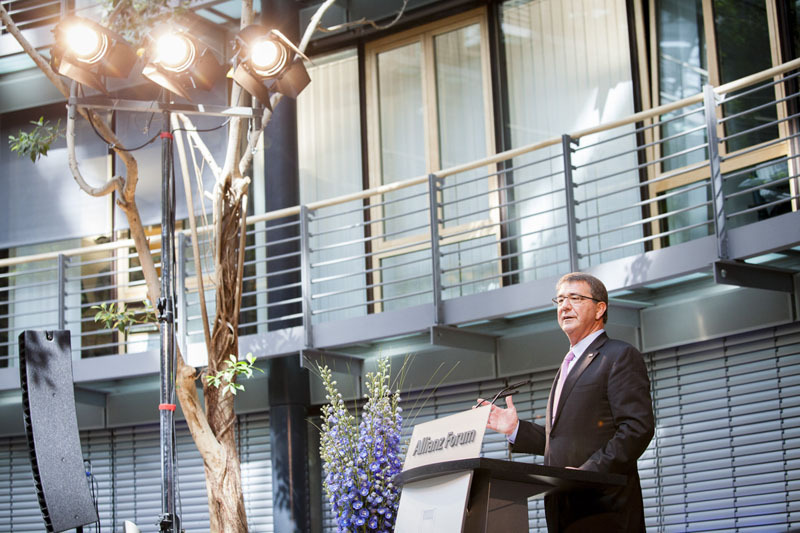 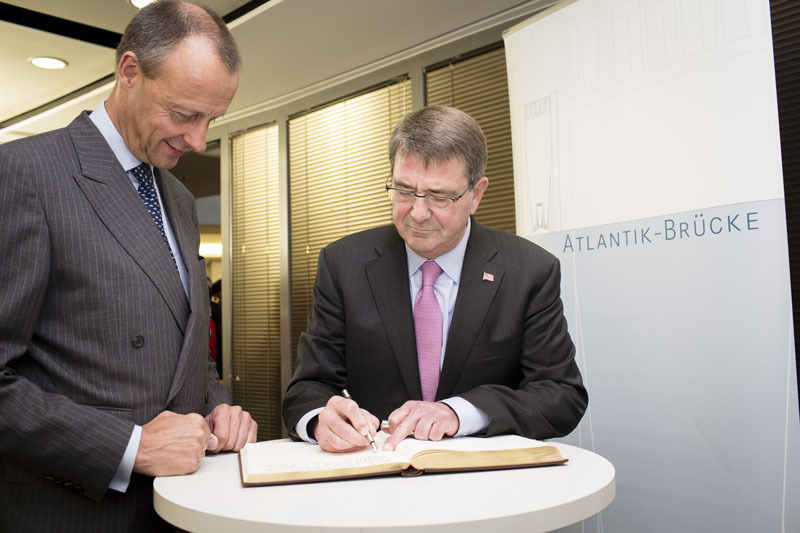 U.S. Secretary of Defense Ashton Carter has sent out an unmistakable message to the world during his first official visit to Berlin: The play book of the conflict between the East and the West is not compatible with the challenges of the current crisis in Eastern Ukraine, the Democrat said during his speech at Atlantik-Bruecke’s invitation in the Allianz Forum on Pariser Platz. 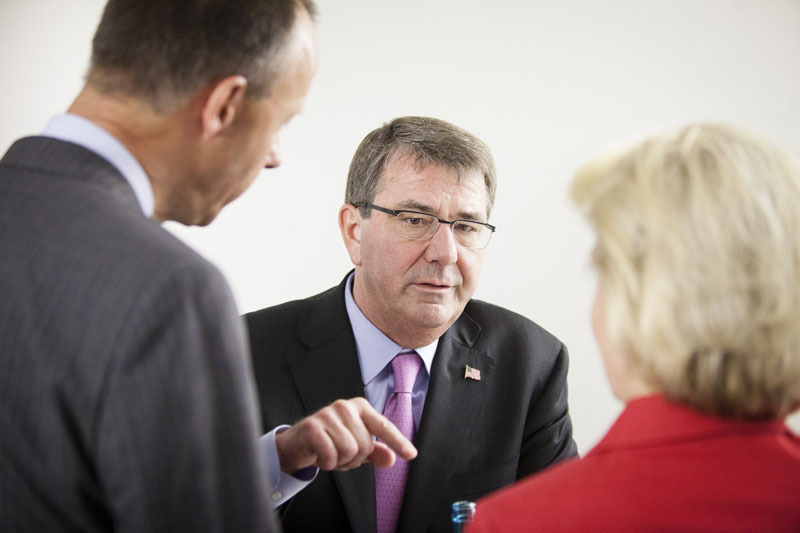 His remarks were directed at the Kremlin leadership. 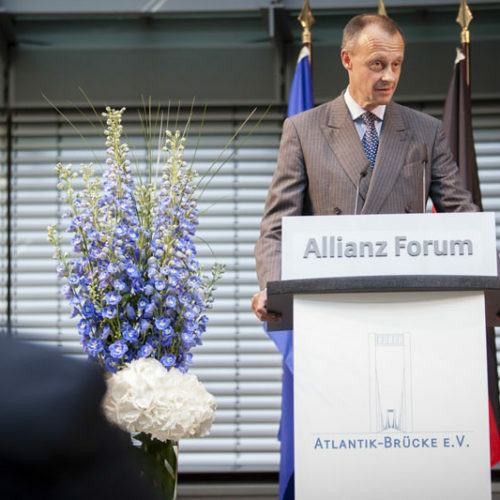 “Vladimir Putin cannot turn the clock back in Europe. 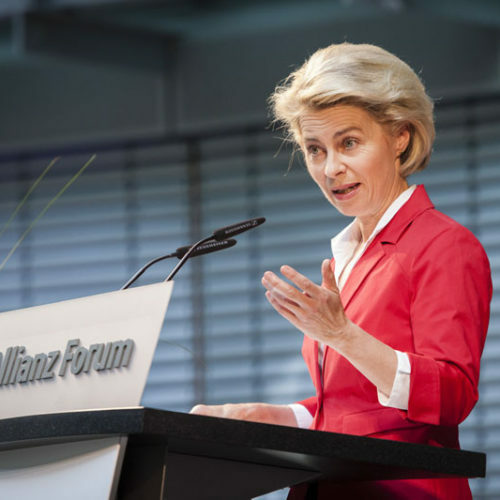 Russia’s aggressive actions have no place in today’s world.” The German Federal Defense Minister Ursula von der Leyen, who welcomed Carter, emphasized the great significance of the transatlantic relationship. 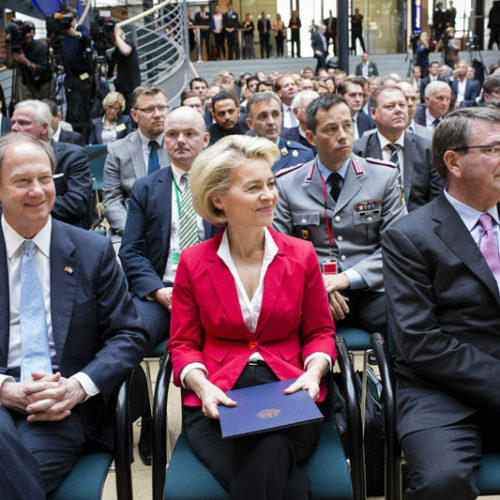 The day of the event, she pointed out, had not been chosen without a reason. 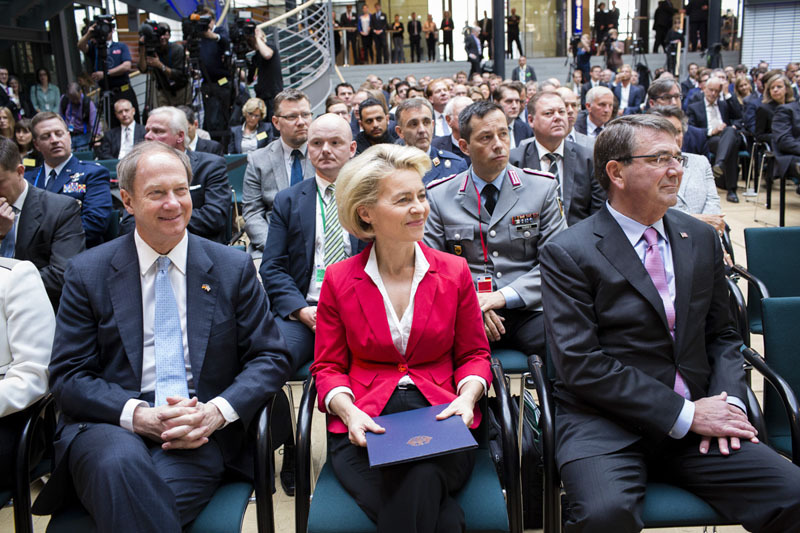 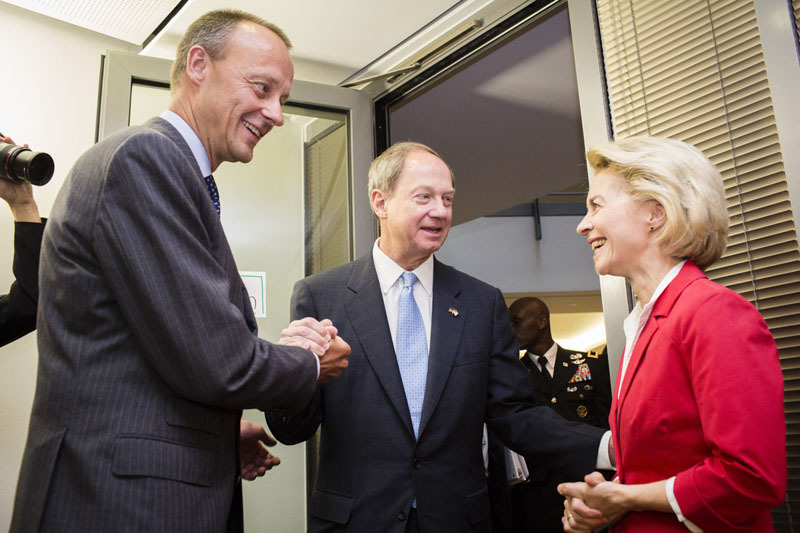 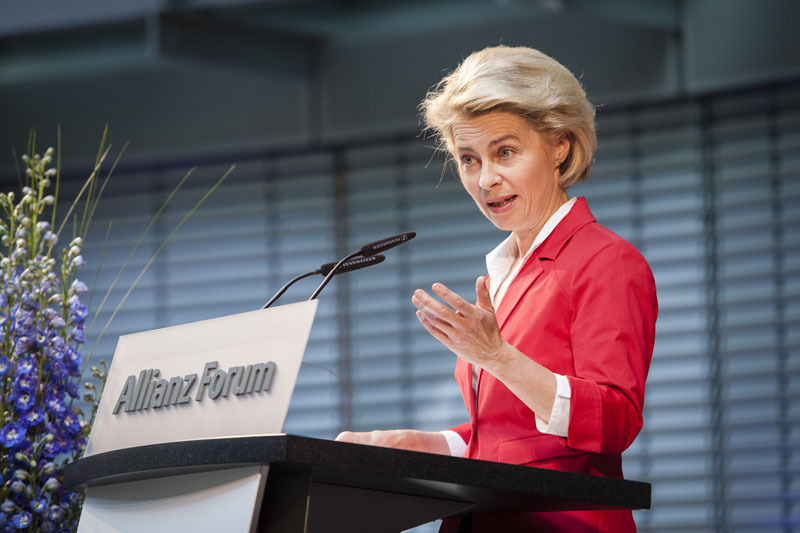 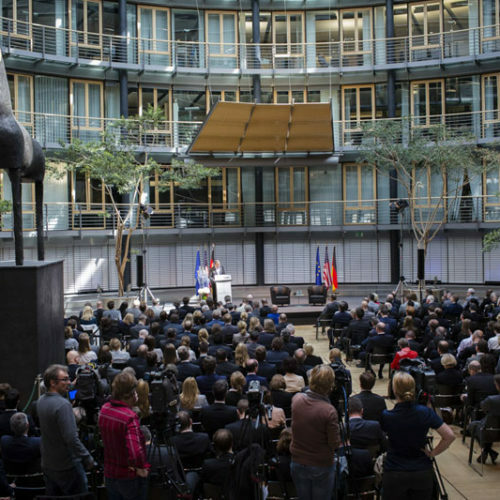 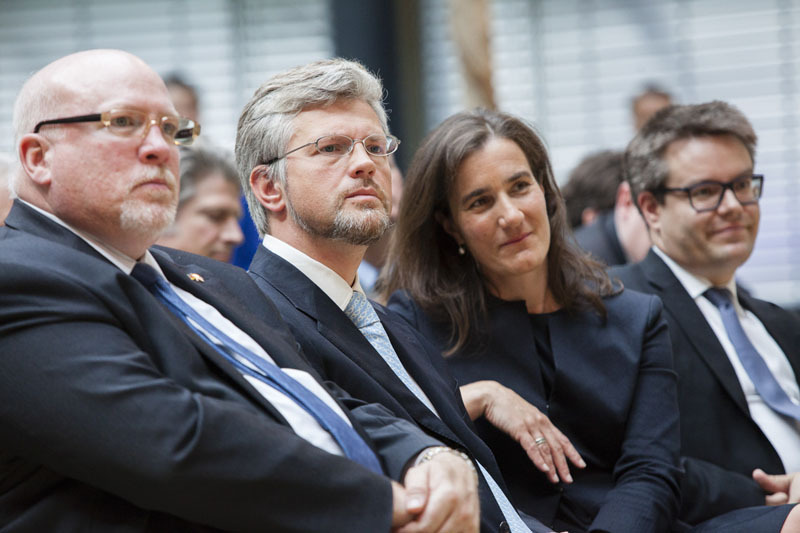 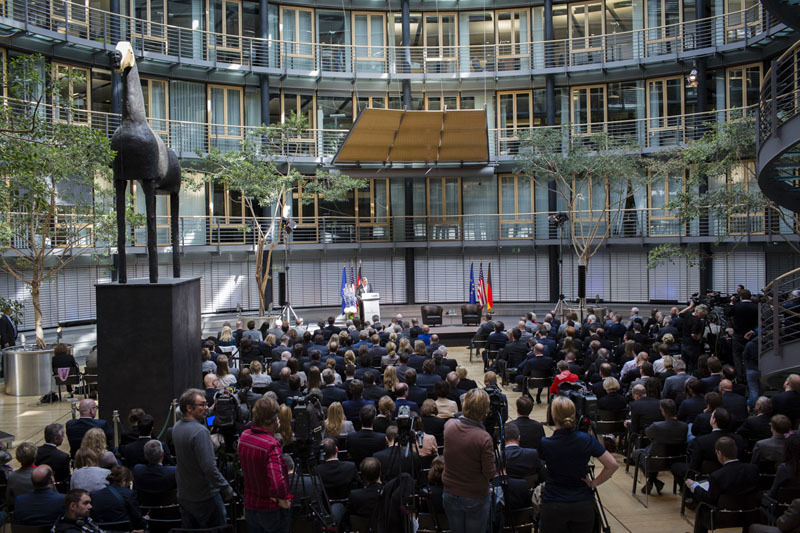 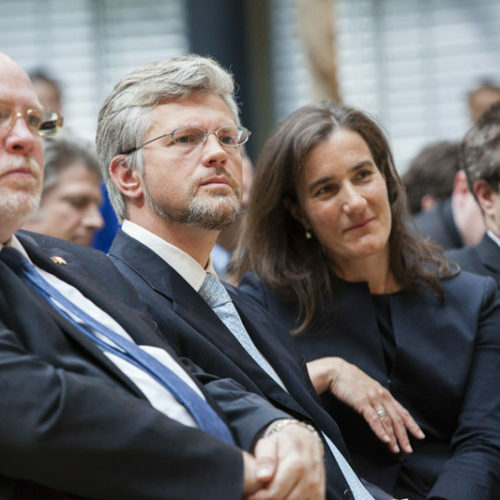 Von der Leyen reminded the audience of the dismantling of Checkpoint Charlie on June 22, 1990, and of the Two-plus-Four Talks shortly thereafter which ultimately lead to the reunification of a divided Germany. 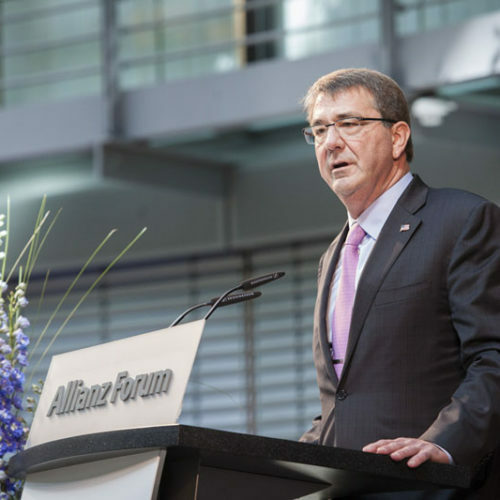 “We will never forget that after World War II the United States lent us a helping hand. 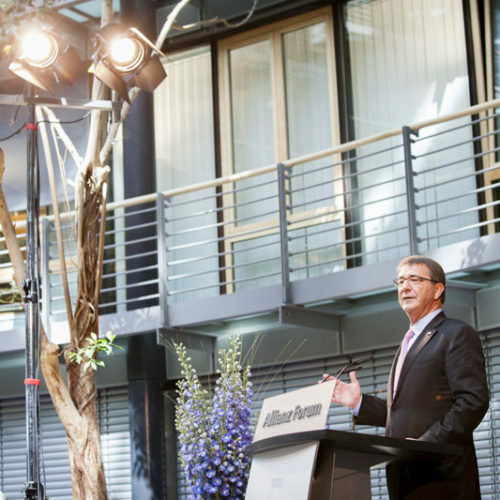 And without the assistance of our Atlantic partners a peaceful unification would have never taken place”, the Minister pointed out. 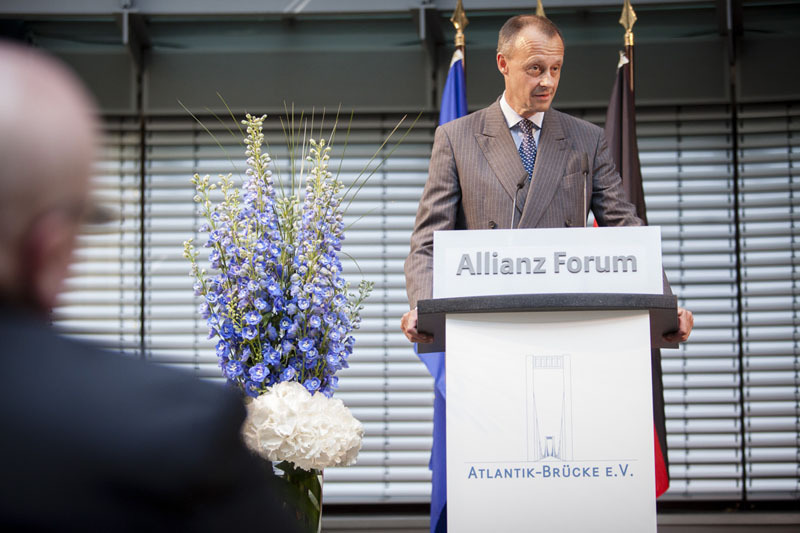 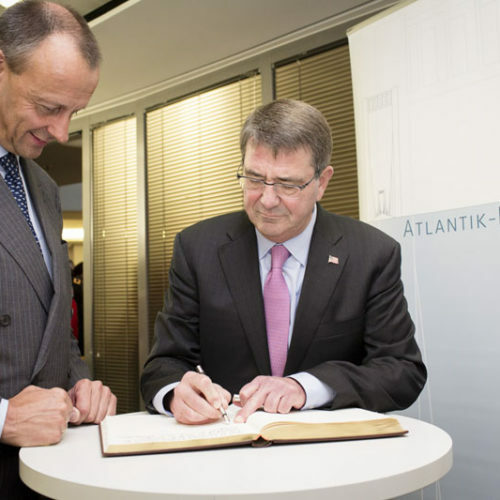 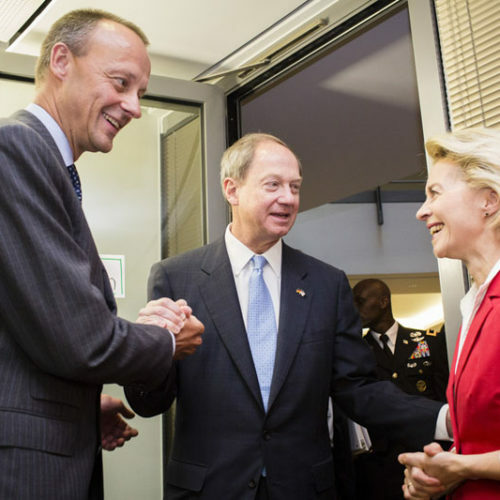 Friedrich Merz, Chairman of Atlantik-Bruecke, welcomed Carter in the presence of guests from the fields of politics, economics, and the media by stating: “Here, you are among friends.” Merz concluded his address with a promise that there will always be a forum for a friend like Ashton Carter – especially at the Brandenburg Gate.